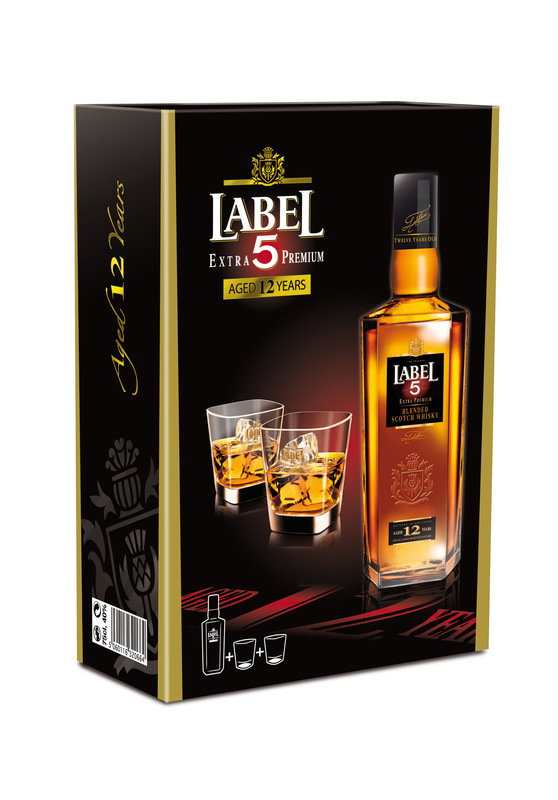 LABEL 5 EXTRA PREMIUM 12 year old is an exceptional Scotch Whisky fully matured in oak casks for over 12 years. During this process, and under the constant care of the Master Blender, it acquires its incomparable smoothness and lingering flavours. The final part of our short journey through some of the Label 5 range ended on what we thought was their best expression, the 12 Years Old Extra Premium. Once again thanks to Tom from Tom’s Whisky Reviews for the samples. Fruity orchard fruits, peach, pear and apple, all poached in honey and syrup, fragrant and floral, light and sweet, oak wood and cereal barley malt with a little herbal nature, sage and cumin. We really enjoyed this 12 year old blended scotch from Label 5, this is easily as good as many entry level single malts. A good depth and balance of flavours with plenty of aged oak wood throughout. Sweet on the nose but much more tempered in the palate and a lovely baked or stewed nature to all those lovely fruit flavours make this very shippable in its own right.